Scissor style and “T” clamp styles Contact us for quotes and specifications. 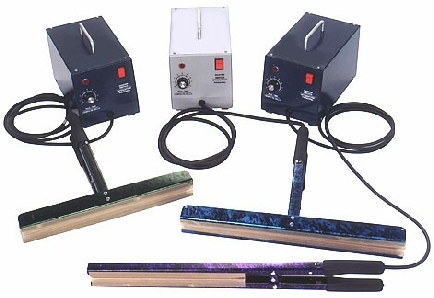 Hand Held heat sealers, handheld sealer for industrial shipping applications. 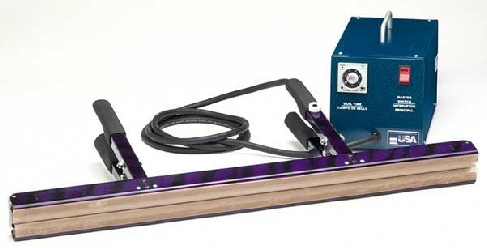 Handheld Heat Sealers - Hand held heat sealers are used to seal large moisture, proof, vapor barrier 3D bags to make moisture barriers bags for crating, rigging and shipping. Rollstock is used for moisture barrier bags and vapor barrier bags for preventing moisture and condensation damage in sea freight containers during shipping. Model "B" (T Clamp) is available in 8, 12, 15, 18, and 26" lengths. 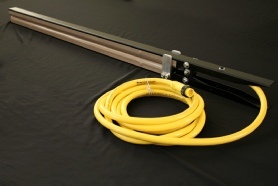 Model "S" (Scissor Sealer) is available in 6 or 10" lengths. Model "B" (T Clamp) 26" length. We also have moisture proof vapor barrier material for shipping and large desiccants and Cargo Dry.